After spending 25 years as a hairdresser, 7 years as a barber and working as Head of Training in one of London’s coolest barber shops, Jason Fellows has brought his experience and passion for men’s grooming to Hastings Old Town in heart of the East Sussex seaside with Mr Fellows Barber Shop. We caught up with him for a chat and loved what he had to say about shaving and the barber shop experience. 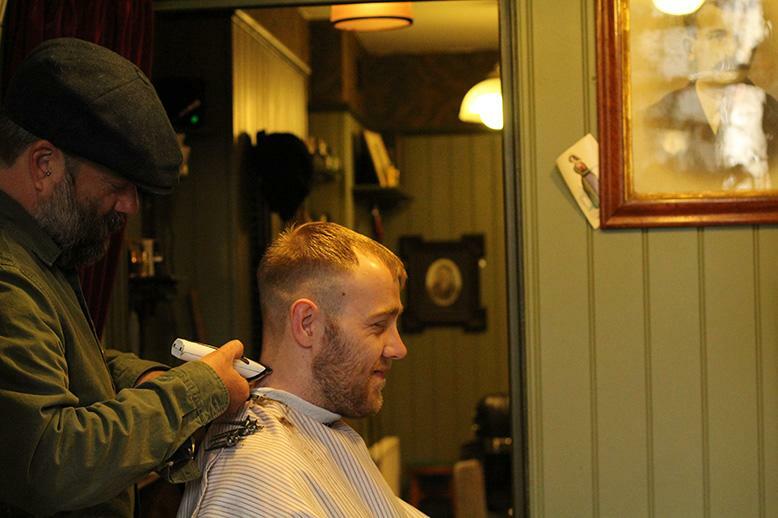 MUHLE UK: What inspired you to open a barber shop in Hastings Old Town? 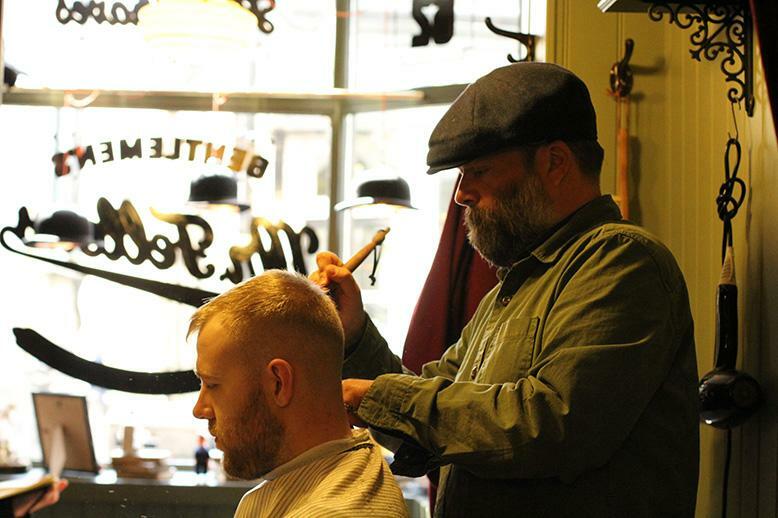 MR FELLOWS: I moved to Hastings with my partner and noticed lots of hairdressers in the Old Town but not a barber shop and I think a barber shop is great way of serving the community. Obviously we get lots of tourists and that’s great but it’s nice to see so many locals coming for repeat haircuts and shaves and accessing the barbering service here. We get lots of fishermen coming in here . . . the sense of community in the Old Town is strong; the coast has so much to offer. MUHLE UK: What drew you to barbering? MUHLE UK: That’s a great name! What else can you tell us about the experience? 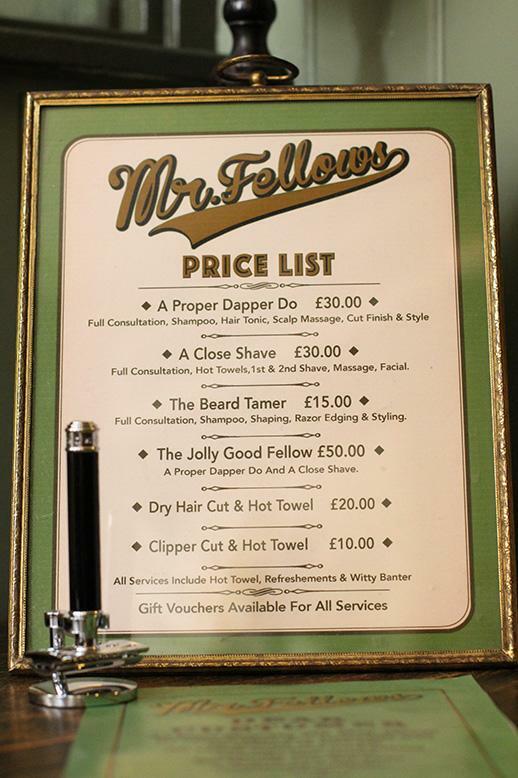 MR FELLOWS: The experience is really key; I like my customers to be able to come in and be able to switch off so I offer a barbering service that lasts for 45 minutes to an hour and includes a hot towel, neck, shoulder and arm massage. I also offer my customers a drink: tea, coffee, whisky, gin beer or rum- it’s all complimentary and part of the service. MUHLE UK: That sounds lovely. It’s a great atmosphere in here as well I love the classic green walls! MR FELLOWS: I’ve always loved the old, classic style barbershop. The experience of getting a haircut and a shave is an intimate one so I’ve avoided a cueing system and book people in when they arrive so they can come back and there’s no waiting around. MUHLE UK: I noticed that! MR FELLOWS: It’s important, especially with guys because it often takes a lot for them to come out of their shells, so the last thing you want is a cue of guys watching you while you are having a shave. It’s great when you see guys come in here and they feel comfortable and relaxed enough to show you pictures of the types of styles they like. A lot of guys come in here with their wives and girlfriends as well, and it’s nice that they can come in too and have a drink while they’re man gets a haircut or a shave . . they often like to pitch in for a bit of style advice too! I want my customers to enjoy themselves. 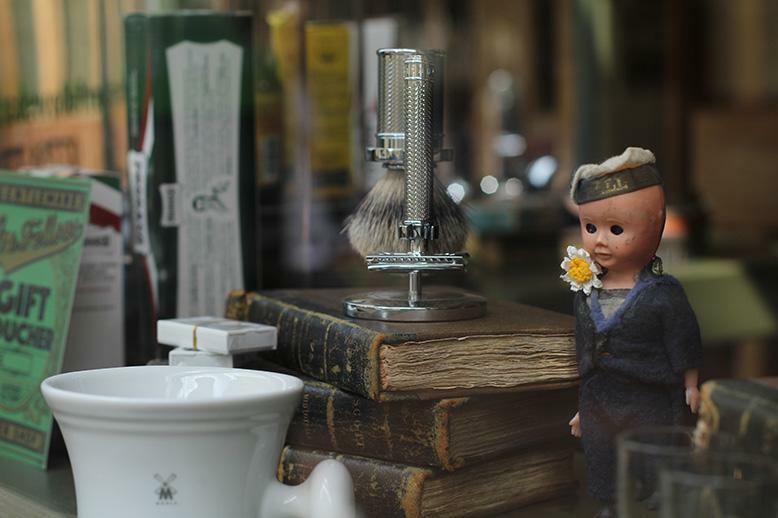 MUHLE UK: Can you offer any shaving tips for our readers for when they are at home? MR FELLOWS: Start with nice warm skin, it’s often best to shave after a bath or shower, once the skin has had a chance to wake up. Invest in a good quality shave soap or cream and use a fresh blade. Make sure you moisturise afterwards with a cream or balm . . . Gents need to moisturise on a daily basis, it’s easy to do and helps maintain the skin day to day, if your skin isn’t moisturised and it’s dry then when you shave it’s going to be sore.